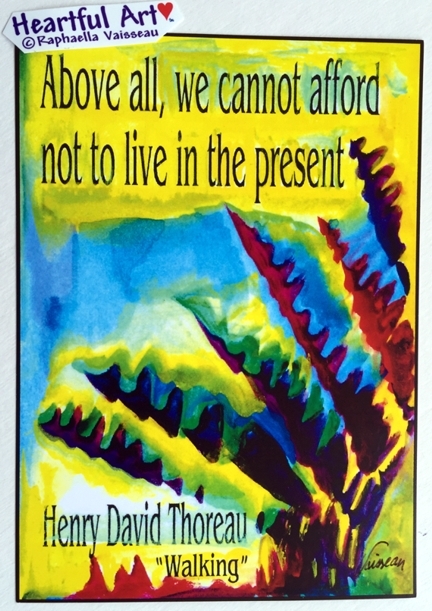 Poster or print of Henry David Thoreau quotation "Above all, we cannot afford not to live in the present" with art by Raphaella Vaisseau. These profound words from the beloved transcendentalist urges us to live in the present moment rather than in the past or in the future. Be here now, as Ram Dass urged in the 1970s to all spiritual seekers, myself included. Breathe in, breathe out. Be in the present moment. Be aware. Now.